When you first get introduced to New Relic, it's easy to be overwhelmed by all the features. But like with most tools, as you slowly climb the learning curve and get familiar with the features provided out of the box, you begin to wonder how it all hangs together under the hood and if there is more you can do with what you have at hand. Today I will look at how New Relic actually monitors transactions and how you can hook into the process. We will take a quick glance at the support provided by New Relic for monitoring background jobs and we'll also dig into New Relic custom metrics, how you would use them and the benefits you get from doing so. By the end you will have a deeper understanding of how New Relic works and be able to utilize it more fully. In other words, we will have a deeper knowledge of our tools—something every developer should strive for. Let's begin by taking a quick look at how New Relic actually hooks-in to track the performance of your application. This content was commissioned by New Relic and was written and/or edited by the Tuts+ team. Our aim with sponsored content is to publish relevant and objective tutorials, case studies, and inspirational interviews that offer genuine educational value to our readers and enable us to fund the creation of more useful content. And somehow New Relic monitors all your code. Of course it is just code, so let's see how New Relic actually instruments your app so it can begin monitoring it when the agent gem is required. We will do this in the context of a Rails 4 app. And here we get to the crux of it: ActionController::Base (from which all your controllers inherit) gets a couple of modules included in it, the most important of which is NewRelic::Agent::Instrumentation::ControllerInstrumentation. This is the start of how New Relic begins to monitor all your controller actions as 'transactions'. Of course, it's a somewhat simplified view and we're glossing over a lot of detail, but it gives you an idea of how New Relic monitors your code. The question is, how can you use this information? Now your controller method will be tracked like a transaction in the same way Rails actions get tracked. Of course, if you've rolled your own web framework which includes database handling code, you will need to do extra work to instrument much of that code, to allow New Relic to monitor more than just controller actions. But the general idea remains sound. The above pattern becomes more useful when you want New Relic to track background jobs in your application. You're a lot more likely to have rolled some custom background job handling code than you are to have written your own web framework. In fact, we did just this with Tuts+ initially, although we're now migrating to Sidekiq. If you're using one of the well-known background jobs systems like Sidekiq, Resque or Delayed Job, New Relic already has instrumentation built in, but if you did roll your own, the above pattern is all you need to monitor your tasks. The last bit, category: :task, is to ensure that New Relic does not track it as a web transaction, but instead treats it as a background task and makes it appear under the background tasks tab in the New Relic UI. If we create a base class for all our jobs, we can put the instrumentation there and child classes will inherit it, so we don't have to worry about doing the above in every job class. Interestingly enough, even the web transactions that New Relic automatically monitors are not sacrosanct. You can, for example, add some custom parameters to be sent to New Relic for the transaction that is currently executing (if you've switched on capturing parameters). Even default New Relic instrumentation has some room for customization, but sometimes, just like Captain Kirk, you just need more power. This is where custom metrics come in. Let's take a quick look at each of them. Now the instrumented part of the method will be reported separately in your transaction traces. If you've previously instrumented the method itself, your new 'inner' metric will be grouped under the previous one. This is by far the most common way you'll end up using custom metrics in your code, but let's look at the others anyway. As you can see the code is very similar to what we had above, New Relic will work out a sensible name for your new custom metric based on the class and method name and you will begin to see it in your transaction traces. Use this to work out if that suspicious library is actually making your code perform badly, but don't keep this instrumentation around permanently. It spams unnecessary initializers in your Rails app and pollutes your New Relic UI with custom metrics that you don't really need to track permanently. One part of web applications that is often neglected is scripts. To paraphrase a presentation I did recently—they're still production code and should be treated as such. You don't want production code to be performing badly, especially if you execute it on an ongoing basis via cron jobs (or a similar method that is not a background job in your system), so we can use New Relic to figure out if your scripts are slow. You may instrument your script code using custom metrics as described above. It won't show up in transaction traces as it won't be part of a transaction. What you will be able to do though, is create a custom dashboard from the metrics you collect which should give you an idea if your script is performing badly. The other thing you can do is to treat your script as a type of background job and instrument it accordingly (include NewRelic::Agent::Instrumentation::ControllerInstrumentation and so on). It will get lumped together with other background jobs in the UI, but you don't have to worry about custom dashboards. This way you won't ever need to wonder why your data is not appearing in the UI. One of the interesting things about New Relic is that it lets you take advantage of its UI and data aggregation facilities for metrics that have nothing to do with performance (in theory). For example, you may want to have some visibility on how often users sign up to your application, the frequency of sales, or the total amount users pay when they make purchases. These are more business metrics than performance ones, but if it's too much trouble to track these separately you can use New Relic to do so. The only way for you to see these metrics in the UI would be to create some custom dashboards. I have to mention that this would be a somewhat "creative" use of the New Relic API as it's designed with performance data in mind, but it is certainly a handy thing to know when you need to throw a quick dashboard together and don't want to set up a bunch of extra infrastructure. Of course, all this power has a cost. If you collect too many custom metrics, it can begin to slow down your application. It can also slow down the New Relic UI and make it difficult to interpret the data as New Relic will collapse similar metrics into a summary one. New Relic recommends keeping the number of custom metrics you collect below 2000. I have found that custom metrics are best used periodically. Instrument the code you need, use the instrumentation to solve the problem you're having and then remove the instrumentation. This way you get to solve your performance issues and the number of custom metrics you use is unlikely to grow too high. We've dug into the internals of the newrelic_rpm gem and have learned how to tell New Relic about code that you consider a web transaction. We've looked at how to alter transactions on the fly, how to monitor background jobs and the various situations where it makes sense to use custom metrics. There is much you can do with New Relic beyond the functionality it provides out of the box and you're now much more able to utilize it to its full potential. But, there is always more to learn, like how to build custom dashboards out of the metrics that you capture, or how to monitor infrastructure with plugins. We'll be covering those topics and more in subsequent articles, so make sure to check back often. And as always if you have a question, want to share your own New Relic story or just want to say hi, don't forget to leave a comment. 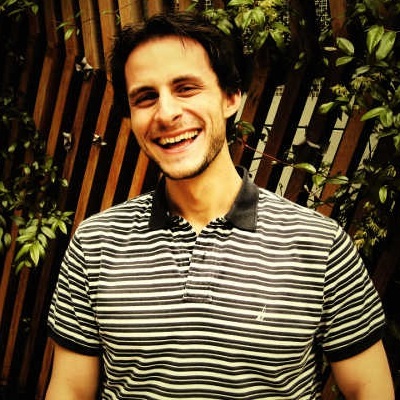 Alan Skorkin is a developer from Melbourne, Australia. He works for Envato in the Tuts+ team (that's right, him and a bunch of other happy developer peeps built the site you're looking at). When he isn't writing code for work he can be found hacking on open source, learning new tech and sometimes blogging about all sorts of fun coding things on his blog skorks.com!